I’ve heard it said hundreds of times, ‘hindsight is 20/20’, meaning that once we get into the future, we can look back at our situations and see things clearly. We can then understand why God placed us on that tough path. Paul in this passages was expressing this same fact. 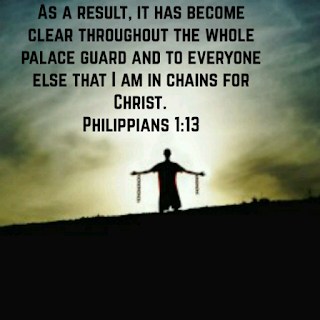 Sometimes the “chains of Christ” look like an evil thing has been done to us. We don’t see the good in it. Yet, God tells us that he seeks to do good by us, and to give us a hope and a future. 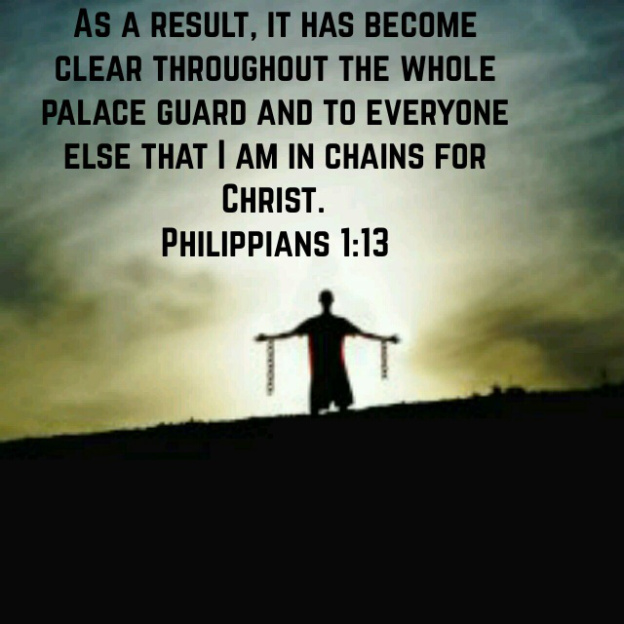 We have to trust in that when the “chains” feel more like a burden than an opportunity. Hindsight is 20/20. Trust God and wait for the future to remove the veil and show us His plan.